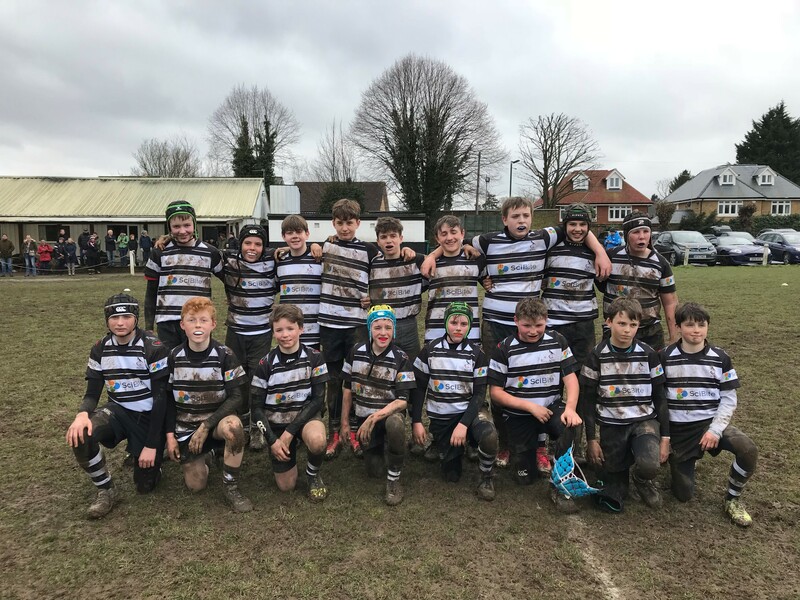 Cambridge U14's travelled to Royston for the return fixture which began our season. Despite a reduced squad, the boys rose to the challenge of a very capable Cambridge team and fought hard to the final whistle. The game began with a quick try from Owen who scored almost unopposed under the posts. This was not a reflection of how the game continued - Cambridge built pressure and their forwards gave our team very little room to play. However, the Royston forwards battled hard throughout and a determination to compete for every ball was the difference between the teams. Despite getting into our 22 on several occasions Cambridge were unable to cross the line due to steadfast defence. Half time saw us 7 - 5 ahead and we knew the intensity would continue throughout the second half. Continued pressure from Cambridge finally gave their forwards a try, crossing from a metre out, but the fitness and perseverance of our boys was exceptional. In the last 10 minutes the forwards were able to work their way within 5 metres of the Cambridge line through multiple pick & go’s. Finally, the ball was passed wide for our backs to work across the field, with Billy forcing his way over in the corner. The conversion by Cody - who had an excellent game out of position at full back - gave us a one-point lead which Royston maintained, despite a late charge from Cambridge. All the coaches are incredibly proud of the boys - this game sets us up perfectly for our Cup final game in a few weeks.